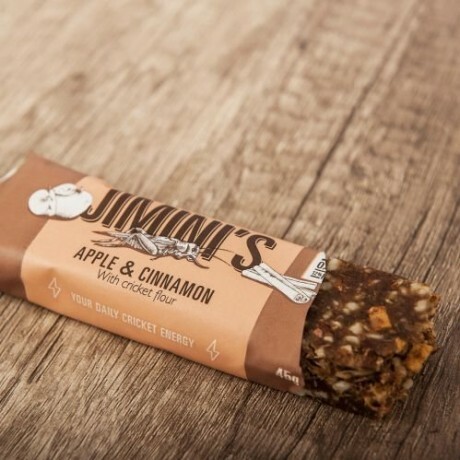 Apple & Cinnamon Cricket Flour Bars. 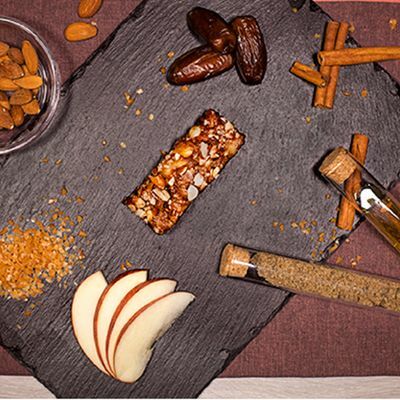 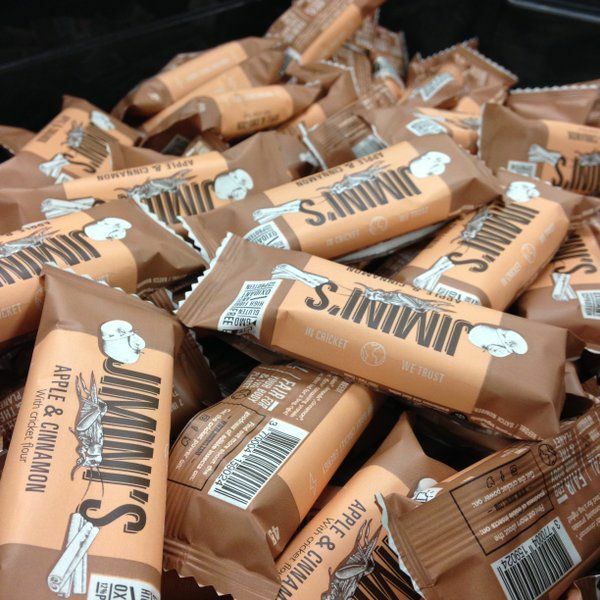 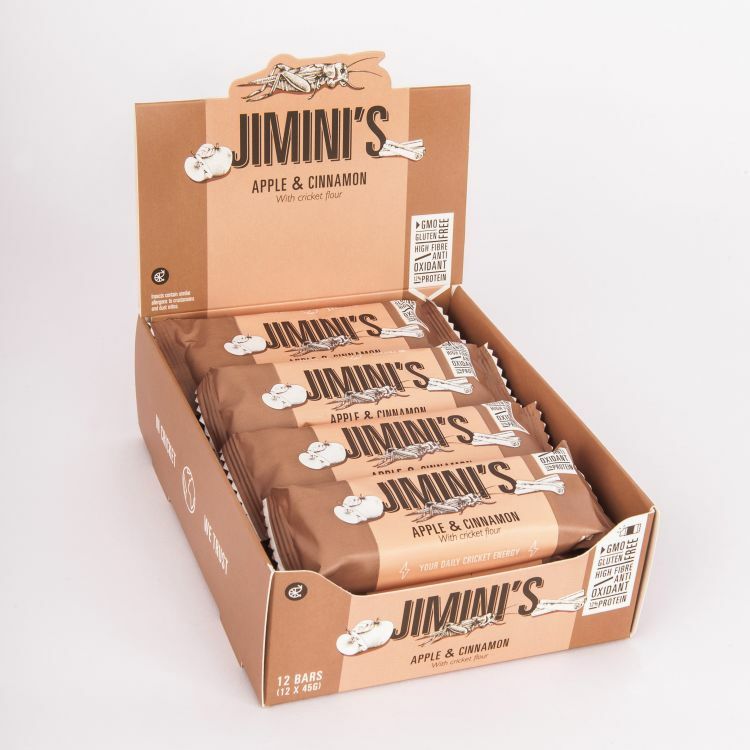 These bars are cold pressed, handmade and full of true ingredients: organic dried fruits, caramel and almonds … and cricket flour! Almonds*, Dates Paste*, Caramel* (13%) (Sugar*, Glucose Syrup*, Milk*, Butter*, Guérande Salt), Dehydrated Apples* (9%), Cricket Flour (5%: Acheta Domestica), Agave Syrup* (3%), Cinnamon (0.5%). 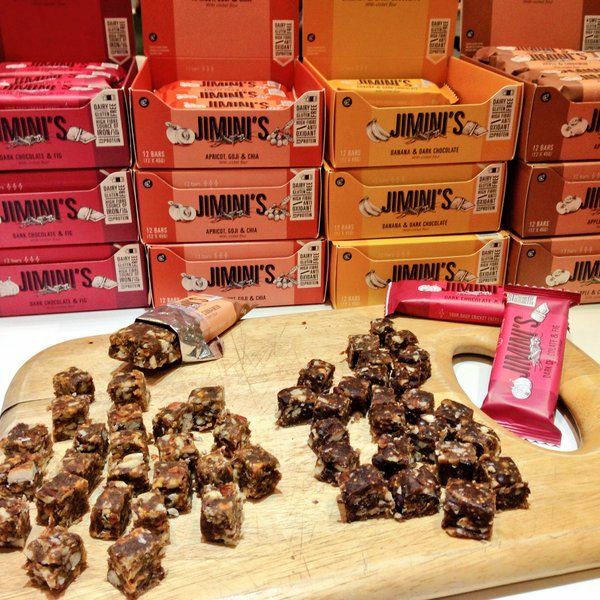 Made from 85% certified organic* ingredients.